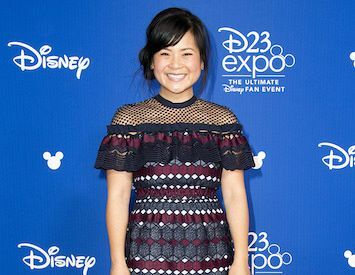 Kellie Marie Tran (Image via Disney | ABC Television Group / flickr). Assistant editor Dan Jensen discusses the merciless online trolling of Star Wars actress Kelly Marie Tran for her acting skills, looks and race. THERE'S QUITE A GOOD CHANCE you’ve never heard of Kelly Marie Tran, but her current situation is both heartbreaking and important. Kelly is an actress who was most recently seen in Star Wars: The Last Jedi, playing a character named Rose. Despite having a considerable amount of screen time, it’s hard not to admit that Rose was a rather weakly-written character, even for those who loved the film. But poor writing can hardly be blamed on the actor or actress portraying the character, right? Try telling that to the internet. Kelly recently became the target of an onslaught of online hatred, targeting everything from her acting skills to her looks and race. It seems that because Kelly doesn’t fall into the typical Hollywood standard of a white actress with a supermodel figure then she’s not worthy of any sort of praise. Born in California, Kelly’s parents are both Vietnamese and fled to America after the Vietnam War. Having performed in a number of short films, movies and web series, the 29-year-old actress scored her first major breakthrough winning the role of Rose Tico in The Last Jedi. This was not only a huge accomplishment for her, but also for the franchise itself, being that this was the first time a female of any sort of ethnicity played a lead role in a Star Wars film. I am so proud that I get to be this person who is representing something for people that may have not seen themselves in a movie like this before. I would love for us to be having a different conversation, because I would love for so many Asian-Americans to be in every film franchise that it’s just normal. We’re still working towards that, so I’m excited to be part of that change. Immediately upon release, fans began to criticise Kelly rather unfairly on social media. She was attacked for her looks, her acting ability and, worst of all, because of her race. These days, it’s not a new thing to hear of celebrities being harassed over the internet – or, indeed, carrying out the abuse – and it’s become incredibly easy to reach out to people in the entertainment industry since social media has made the world such a smaller place. Many times, the undeserving victims of said attacks are able to shrug it off and go about their lives, but every now and then the abuse becomes so offensive it can have far more serious consequences. Kelly used to be a shining example of using Instagram to promote goodwill and happiness. Her posts were always positive and uplifting, with 196,000 followers enjoying her bubbly outlook on life. But once the torrent of hatred and vitriol became too much, she deleted all the photos from her account and stayed silent for a while. Recently, she updated her profile to read ‘Afraid, but doing it anyway’, (followed by an emoji of a lion) and, while the account still remains absent of pictures, her follower count has risen to 233,000 and climbing. Aside from that, the support for Kelly has been overwhelmingly positive, as the online community realises that this sort of treatment is entirely unacceptable. The words of support are vastly outweighing the negativity she received. "Behind Rose is this idea that if you're a nobody, and you're in the background of the action, that you can still rise up and be someone." The world is becoming increasingly politically correct, to the point that we have to carefully scrutinise every post we put on social media platforms just in case we offend someone. A degree of political correctness isn’t a bad thing, but when gender-specific words like "boy" and "girl" are considered offensive, you really have to start asking if we’re taking it too far. This kind of social bubble-wrapping incites anger in a lot of people which leads to outcries of rage over the internet. It can seem as though we're heading towards a sterile world devoid of fun. But this isn’t the same thing as casting an Asian actress in a lead role, or even committing the "crime" of featuring a weakly-written character in a movie. That’s an issue that should just be put aside and forgotten about — there are far more important things that warrant taking a stand against. It just seems that the more "PC" our world becomes, the angrier and more spiteful keyboard warriors become. But on the flip side of that, as this escalates, the need for more political correctness increases. It’s a vicious circle, where angry movie nerds are shooting themselves in the proverbial foot. Hopefully, one day the internet will calm down and become a safe haven where everyone can get along. Any time someone has an issue with a movie, they’ll be able to accept that there might be others who disagree and be comfortable with that. If the casting of a certain actor isn’t to someone’s liking, hopefully they might understand it doesn’t mean they need to devote time and energy to destroy that person’s life. I use the word "hopefully" a lot there. Hopefully, when Hell freezes over, Satan has a winter wardrobe that fashion critics won’t tear him to pieces over. You can follow assistant editor Dan Jensen on Twitter @danjensenmovies or check out his YouTube channel, 'Movie Talk with Dan Jensen'.